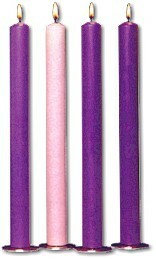 Advent and Christ candles available in 51% Beeswax and Non-beeswax. 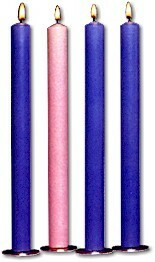 Sizes from 7/8" to 6" in diamter, heights available from 6" to 16". A wide variety of advent wreaths for the Church and home.